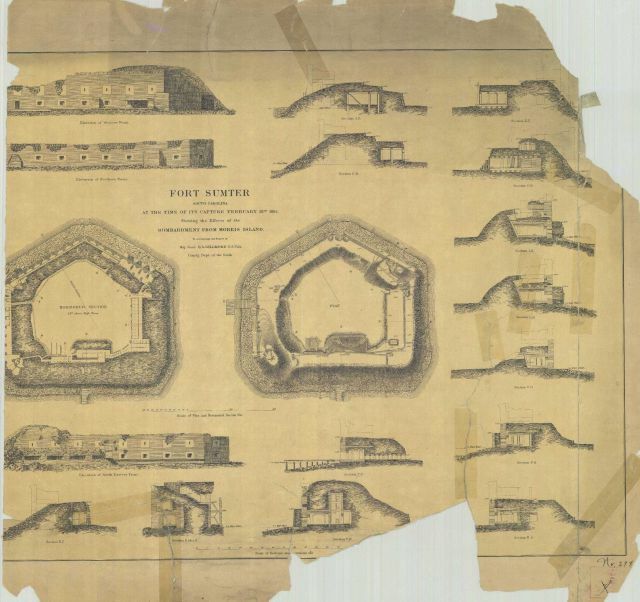 Drawings of Fort Sumter South Carolina at the time of its capture February 18th 1865. These drawings were prepared for Major General Quincy A. Gillmore. It is not known who the artist was.